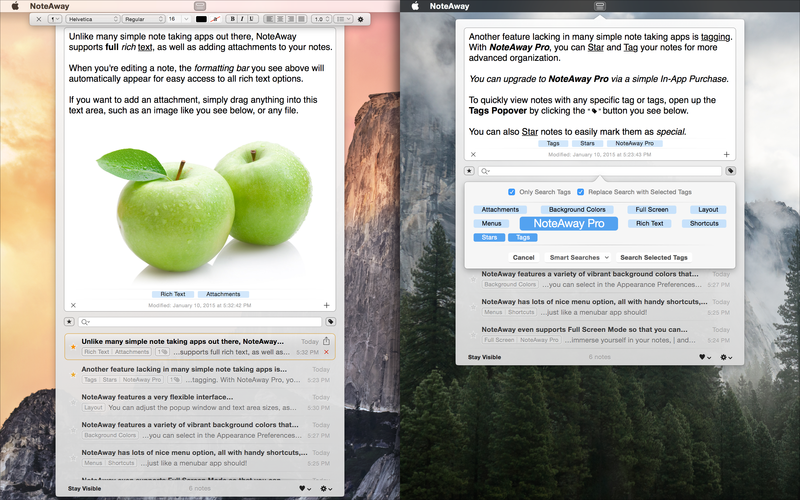 rich text, attachments, simple import/export, and a variety of customizable options. 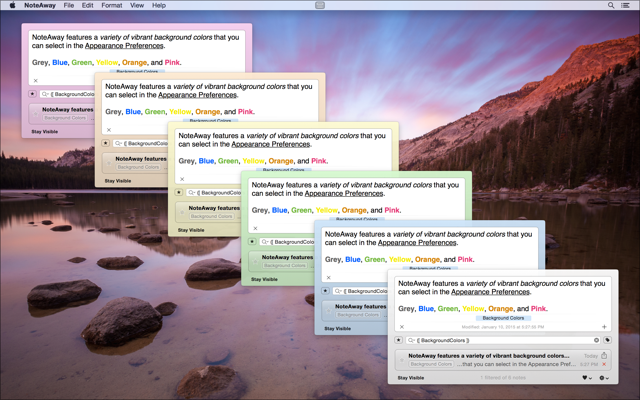 such as starring, tagging, movable window, full screen mode, sharing, and more! 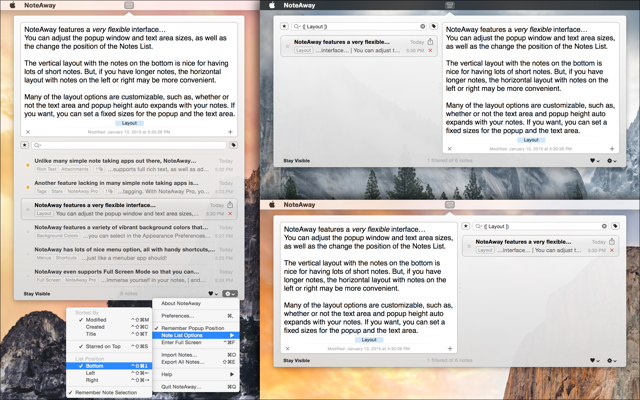 Upgrade to NoteAway Pro to enjoy more great features! 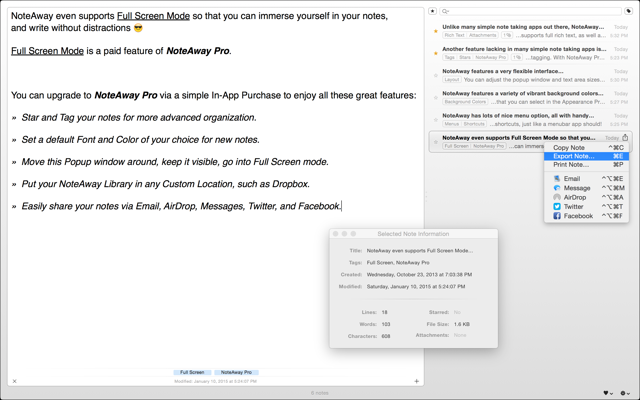 You can buy NoteAway Pro (In-App Purchase) for just $4.99. If you would like to review NoteAway, please get in touch!